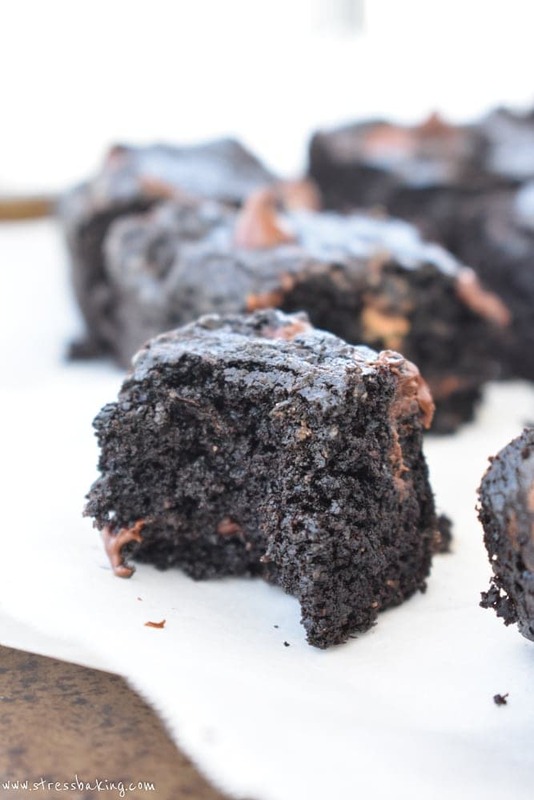 Chocolate brownies so thick and rich that you would never know they’re gluten free, dairy free, and paleo! I had these grand plans to publish a completely different recipe today. I made it, shot it, edited it, and ate the whole damn thing. It was ready to be published. But then… I made these. I couldn’t wait any longer. I just couldn’t. I was SO HAPPY that I was able to create a rich, thick, chocolatey brownie that’s completely paleo-friendly. No butter, milk, granulated sugar, brown sugar, gluten, alien body parts or otherwise unnatural ingredients. 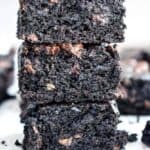 I’ve been struggling with how to make appealing and appetizing paleo and keto desserts. Keto is much more difficult, as far as I’m concerned, so I’ve been focusing on paleo. Baby steps, my friends. Baby steps. I don’t want everything to be made of almond flour, almond butter and coconut oil, but it’s a good start. They’re surprisingly versatile ingredients! And it’s totally possible to make things that don’t taste like any of those things, so that’s a bonus. My first try at these, I used mini chocolate chips but it felt underwhelming. And I used too much almond flour and not enough egg, so they ended up being cakey. Mind you, cakey isn’t a bad thing if you’re going for… cakey. But I wasn’t. I was going for brownie-y. 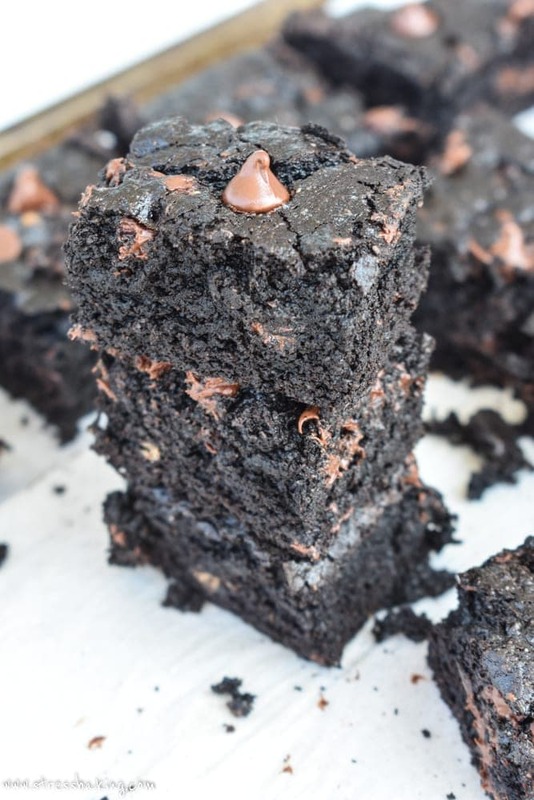 I didn’t need them to be super fudgy because I already have a go-to for that (but of course that doesn’t mean it’s not in the cards at a later date), but I did need them to be the kind of brownie that you can take a bite of and really sink your teeth into. Literally. First, I needed them to include melty chocolate chips so that I’d make a mess of myself when I ate them fresh out of the oven (waiting is for chumps). Second, I wanted swirls of almond butter to keep them from looking too plain, but not so many that it tasted like almond butter. And lastly, the taste had to be dark and rich. I’m not looking to bite into a super sweet sugar bomb. 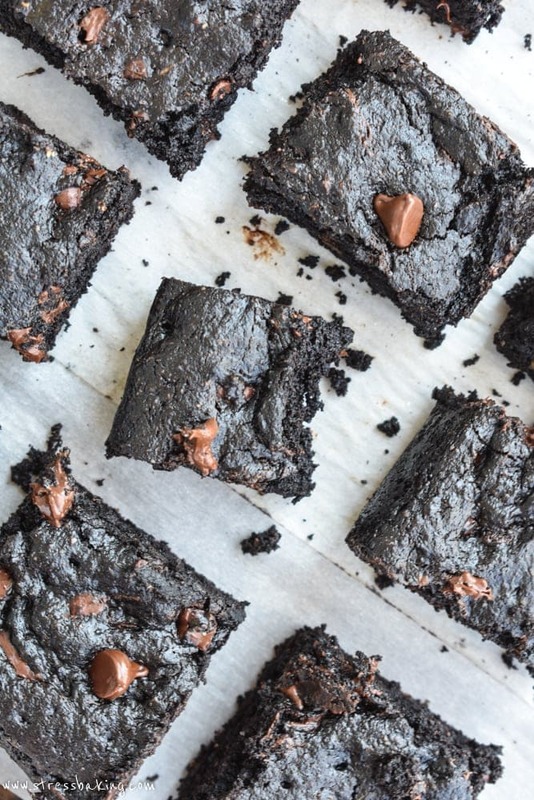 So whether or not you require a paleo diet, you need to make these. Go to the store, grab the ingredients, make these and then do everything you can not to eat one, after another, after another. They might be paleo, but that doesn’t make them celery with no calories or consequences. I swear, you’re not going to know it’s missing all the “fun” stuff. And when you make them, be sure to tag me on social media and use the hashtag #stressbaking so that I can check it out! Preheat oven to 350°F. Place parchment paper (with the edges hanging over the sides for easy lifting) in an 8×8 pan. Set aside. In a microwave-safe bowl, combine coconut oil, coconut sugar, almond butter and maple syrup. Heat in 30 second increments, stirring well after each. Heat until all ingredients are melted (they won’t be completely combined – that’s okay). Set aside. In a medium bowl, whisk together almond flour, cocoa powder, baking soda, baking powder and salt. Set aside. Add eggs and vanilla extract to wet mixture and stir to combine. Add the wet mixture to the dry mixture and use a spatula to combine (the batter will get stuck in a whisk). 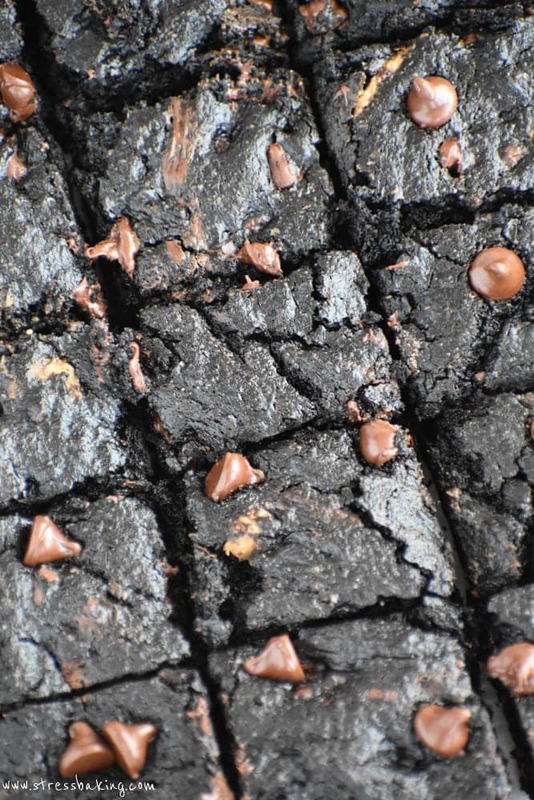 Fold in 3/4 cup of chocolate chips. Pour batter into prepared pan and use your spatula to spread it evenly. Sprinkle the remaining 1/4 cup chocolate chips on top. Bake for 20 minutes or until a toothpick inserted in the center comes out with a small amount of wet batter – you want to under cook them! Let cool in pan, then lift them out, slice and enjoy! Note: You can cut these into 9 large pieces, or 16-25 smaller pieces. 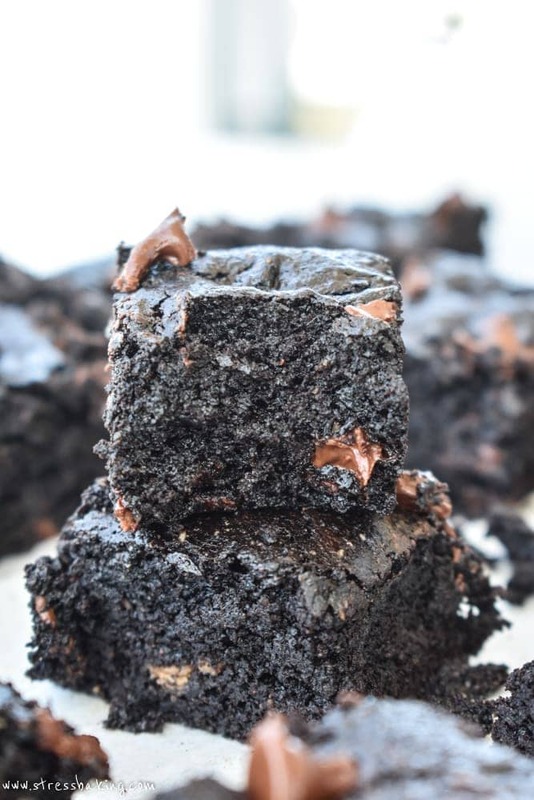 I’m always glad to have a gluten free brownie recipe I can point people to. What’s the secret of that dark colour! 🙂 Is it the rich chocolate. 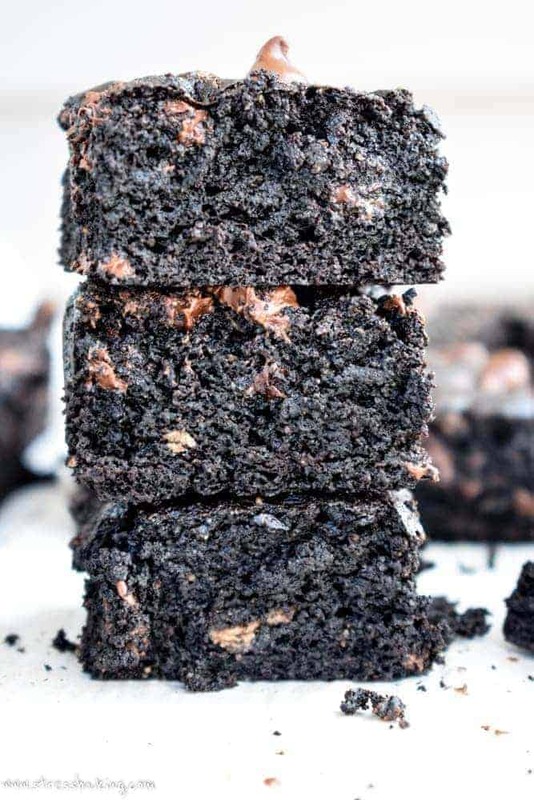 Have been thinking of making gluten brownies for sometime. Thanks for sharing! That looks so delish and I can’t believe it gluten free!! Love almond flour and coconut sugar. I’m saving this recipe for future. Can’t wait to try this soon. Those look so rich and tasty! I am pinning for later! Thanks for sharing. WOW. 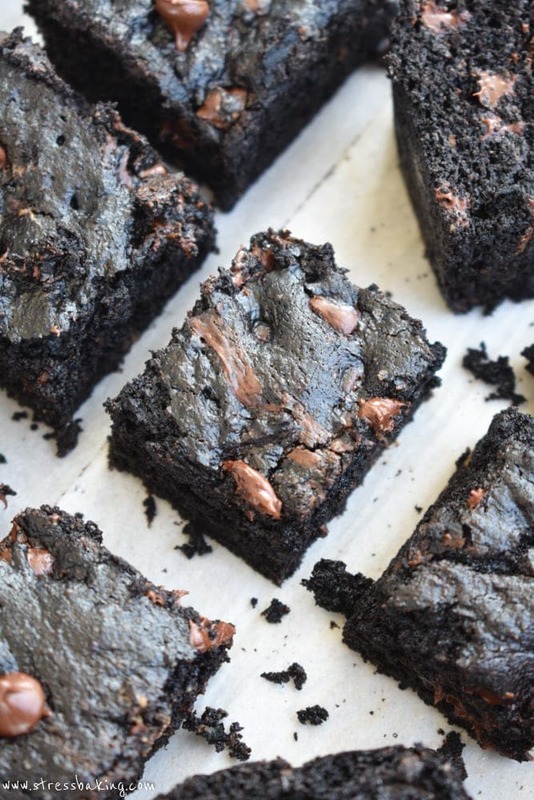 I mean, that’s about all I can get out with all the drooling these brownie photos are causing. They look absolutely to die for! Those are some good looking brownies! And rightfully so after all your hard work! These look so delicious – I love that you’ve used maple syrup to sweeten them and I’m getting more into using almond flour. It adds a nice texture and flavor. Yum! I’m finding both maple syrup and almond flour essential for paleo baked goods. But I’m also a huge fan of honey in lieu of maple syrup! 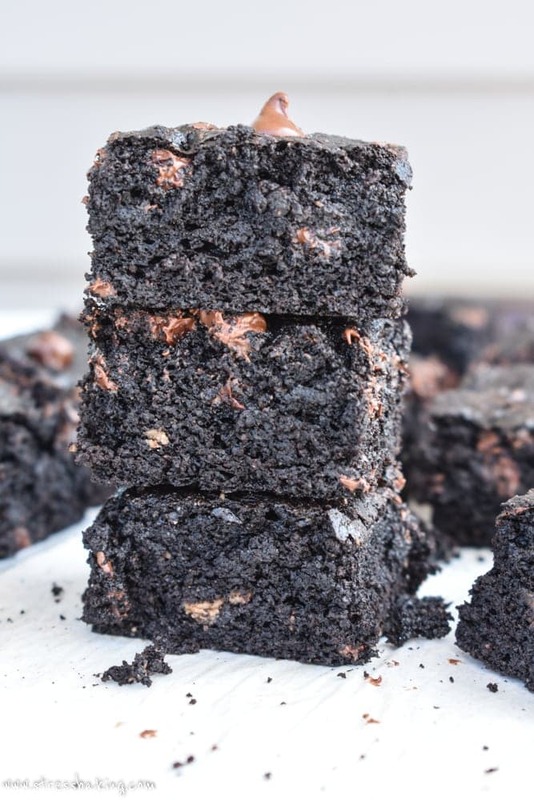 Gorgeous brownies,perfect dark color.Loved that you used coconut oil,almond butter in this.I will try my recipes with almond flour and coconut oil next. They’re the perfect ingredients for delicious paleo treats! 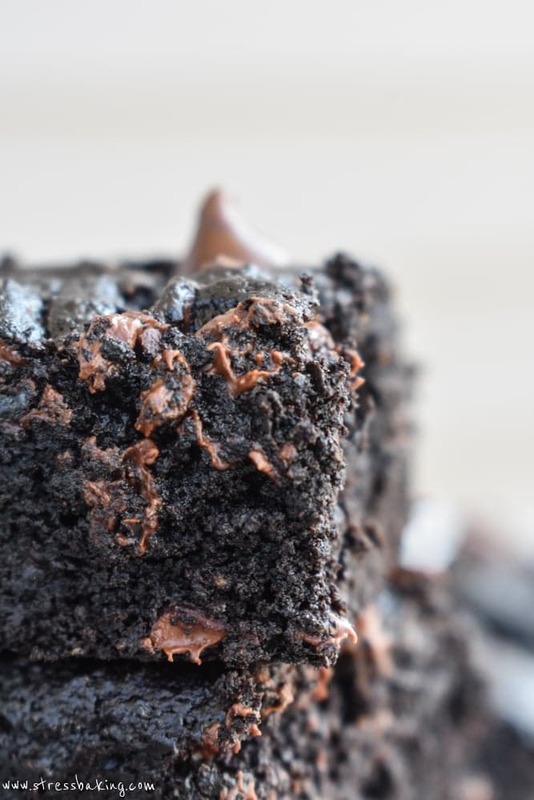 i absolutely love the texture of this brownie! Wow – very impressive adaptation! 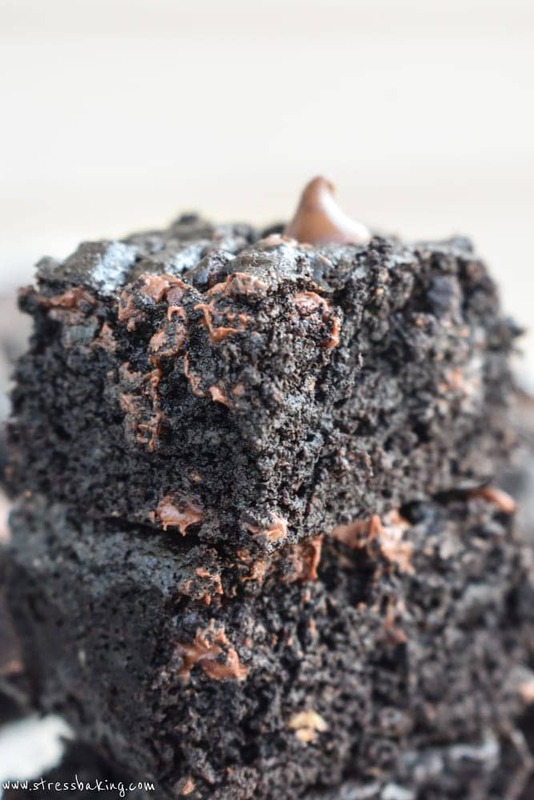 These look super fudgy and like they have an amazing texture! 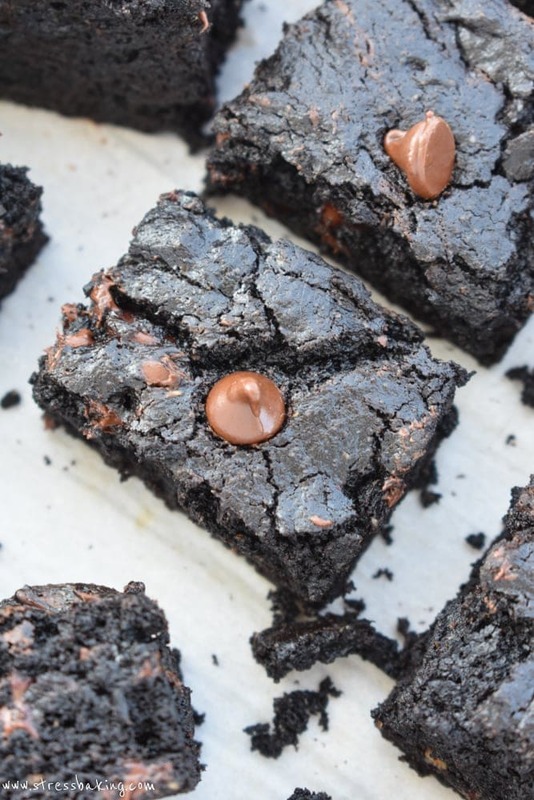 These looks like a guilt-less brownie recipe to make! Yum! Please do – I hope they love them! Love that these are paleo! They look SO delicious. I’m pretty much always craving dessert, so these would be great! 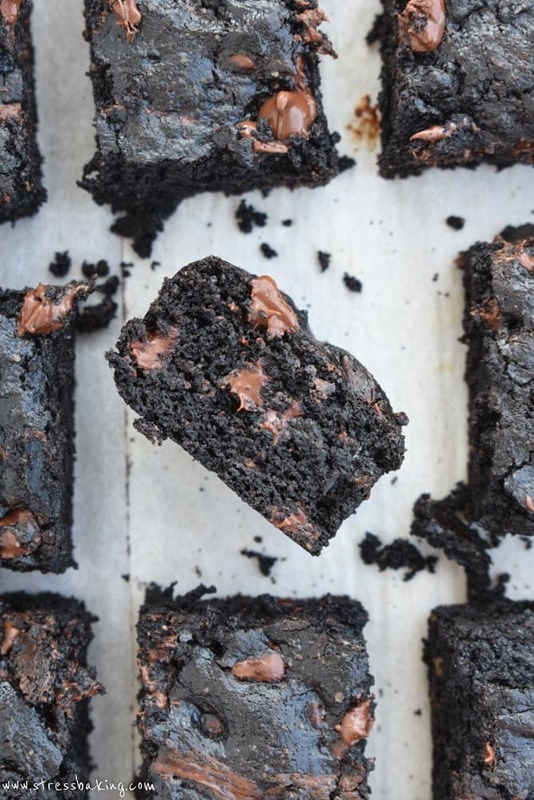 It’s perfect for when you have a chocolate craving! Pinned! I’ve got a Paleo personal chef client who would love these! Yay, I hope she does!